Adapt your adapter to work everywhere. Includes one blue Stella and one Blockhead. Stella senses when an outlet is nearby and illuminates. It’s fun during the day, and amazing at night. 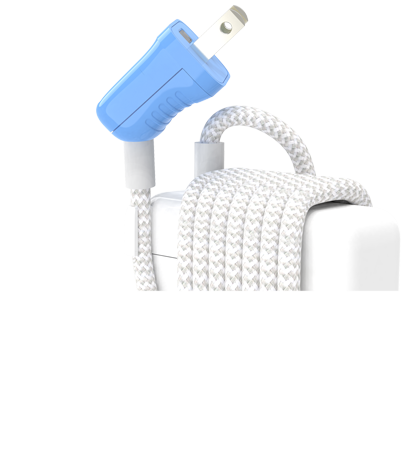 Highly flexible woven cord stays where you put it and is easy to wind/unwind. 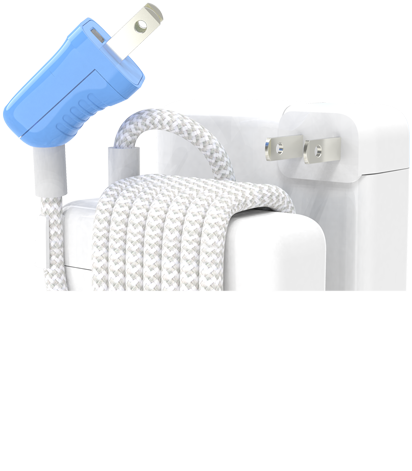 Large, comfortable, and easy-to-grip plug body with a 45 degree cord exit fits behind furniture easily. Two-prong design is safe and versatile no matter what type of outlet is at hand. Illuminated plug makes light work of a dark room. 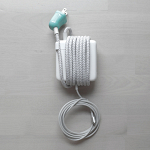 Great cord management through a slide-out clip (Apple versions) or included strap (PC versions). 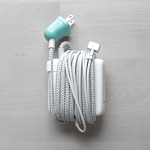 With its distinctive appearance, no one will be taking your charger by accident - if anything, it’ll be on purpose. Ingrained with new patent-pending technology and refined with simple conveniences, Stella is light years ahead of other cords. Stella for Apple uses a slide-out clip that disappears into the adapter when it is not needed. The sliding clip is bidirectional so you never need to plan which way to wind. Many of us have used a finger to feel for the outlet holes. It works, but it’s maybe not the safest plan. What should Stella do next? 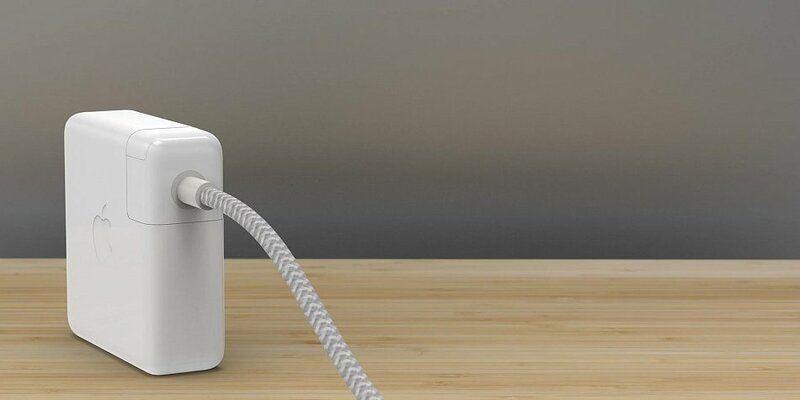 Stella is a peek into the future of what electrical plugs can be. We partner with companies to bring Stella’s patent pending tech to new products. Learn More ??? 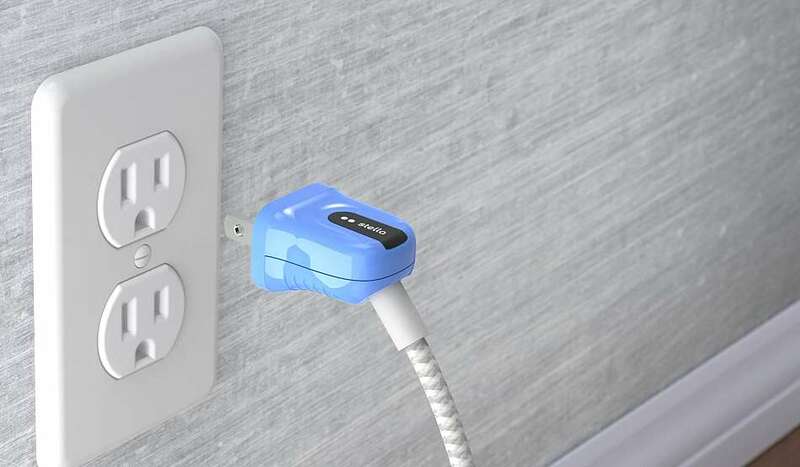 Stella is a peek into the future of what electrical plugs can be. We partner with companies to bring Stella’s patent pending tech to new products. Have a place you’d like to see Stella’s tech? Let us know what Stella can light up next. Stella illuminates as it approaches an outlet. Illumination distance varies by outlet type, and is typically within a few inches. Stella will always illuminate when held sideways as shown against a receptacle. This is helpful if you find an outlet with an abnormally low signal. Stella illuminates as it approaches an outlet. Illumination distance varies by outlet type, and is generally within a few inches. Stella will always illuminate when held sideways as shown against the receptacle. Stella is designed to illuminate when the prongs are near an outlet. However, electrical outlets vary considerably, and the detection distance can be as much as several inches away. Metal outlet covers and unusual outlet configurations can sometimes block the electrical field Stella uses to sense the outlet. However, you can always hold the right edge of stella against the outlet holes, and it will illuminate. 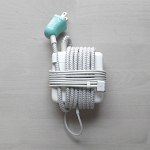 Stella may also briefly illuminate when the cord is extended and a strong electric field (similar to an electrical outlet) is encountered, or when touching the plug body near the prongs. These types of transient interactions have no negative effect on Stella. Will this work with the outlets in my home? Stella’s mechanism is exquisitely sensitive, so it almost certainly will. However, if you do encounter an outlet with an abnormally low signal, you can always hold the right edge of Stella against it, and it will illuminate. Any recommendations for winding cords? Does the light turn off after the plug is inserted? Yes, the illumination will extinguish of within 5 seconds of inserting the plug. Our mission is to make electrical plugs safer and more magical. We are partnering with select companies to address markets where Stella’s technologies add value. If your company might be a good fit, let us know on the Stella Tech page. Which Apple power adapters will Stella work with? 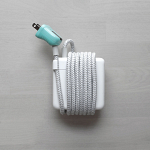 Stella will connect and function with any MacBook or iPad power adapter rated for 10 watts or higher. The cord winding function is tuned for a perfect 8 winds around the common 85w and 87w adapter sizes. Cord winding will still function on 60w adapters. Does Stella need a grounding prong? 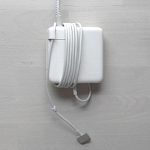 Apple (and many other) power adapters are certified as double-insulated. These types of adapters only require two prongs to connect to a power source. This enables use with the standard folding-prong attachment, international adapters, Blockhead, and Stella. Can the PC version do progressive unwinding? The PC version includes a cord strap that can approximate progressive unwinding. If you don’t see an answer to your question here, let us know! We’ll do our best to shed some light on it.